Wondrous Women on International Women’s Day! Happy International Women’s Day! Are you going to any interesting events, talks, film screenings or even marches today? I’m not doing anything overly interesting this International Women’s Day but I’d thought I’d write a blog post on wondrous women who inspire me and might inspire you so read on! First off the mark is probably the lady that inspires me the most time and time again, Edith Londonderry. Edith Helen Chaplin was born in 1878 and in 1899 married Charles Vane-Tempest-Stewart who later became the 7th Marquess of Londonderry which made Edith the Marchioness of Londonderry or Lady Londonderry as she was known. She opposed her husband’s family’s anti-suffrage stance to support that women should get the vote, have access to healthcare and equal pay. Edith also had a tattoo of a snake that would from her ankle upwards and never denied having a snake tattoo when skirt lengths lifted in the late 1910’s and 1920’s! Edith was the first women to be receive Dame of the British Empire in the Military Division when it was formed in 1917. Edith was awarded this for her war work as Colonel-in-Chief of the Women’s Voluntary Service. 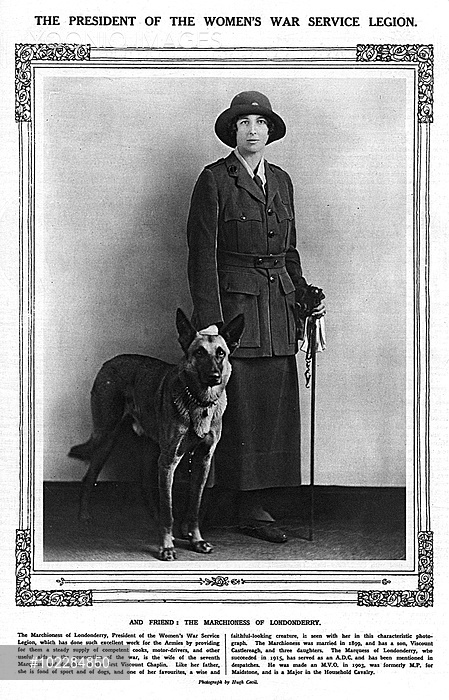 She’s pictured above in her dashing uniform with her lovely dog friend. After the war Edith returned to her position as a political hostess and spent most of her time at her Irish house, Mount Stewart. In Mount Stewart Edith created the now internationally famous gardens of the house including an Italian and Japanese garden. Edith continued her charity and political work before, during and after before dying aged eighty in 1959. 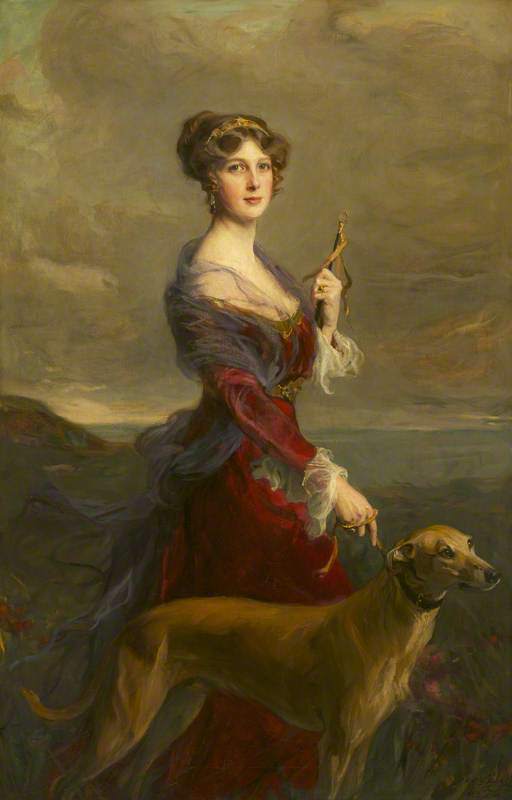 Edith, Marchioness of Londonderry with her favorite grey-hound, Fly, oil on canvas, 1913 Phillip de Laszlo. I admire Edith because she was fearless in the face of the oppressive attitudes towards women that was prevalent in the Edwardian era. She stood up for what and who she believed in and never gave into societal or familial pressure to change her mind. Mostly I admire her because in my opinion she probably didn’t give a damn about what people thought about her as she was her own woman and carried this off with confidence! So this next section isn’t one lady but a bunch of ladies who flew for the Air Transport Auxiliary between 1940 to 1945 ferrying planes across the UK and later to mainland Europe after June 1944. 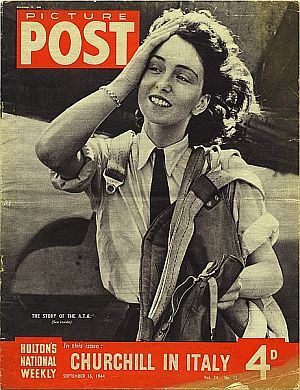 The lady pictured above is one of the very glamorous pilot’s, Maureen Dunlop, who flew for the ATA. Women in the ATA came from across the world including America, Canada, South America and Australia. To fly for the ATA you had to have led a pretty privileged lifestyle prior to the war as learning to fly was not cheap in the 1930s. 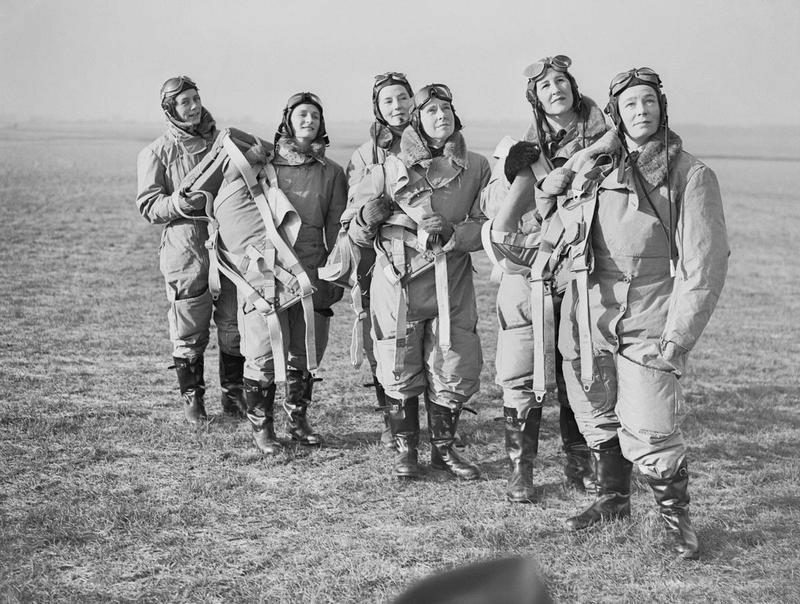 I admire these women because they faced enormous prejudice and sexism just because they were women who wanted to fly to help their country in its time of need. 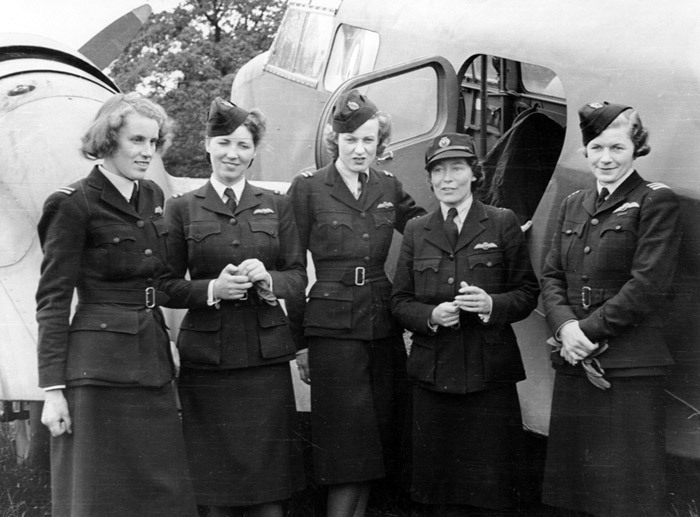 Eventually, women were allowed into the ATA and got to fly planes such as Spitfires, Lancaster’s, Dakota’s etc. In 1943 the women of the ATA were the first women to be awarded equal pay by the British Government. Absolutely amazing! In my imaginary wartime life if I wasn’t at Bletchley I would definitely have been an ATA girl! Michelle Obama is inspirational for me as she champions the causes of gender equality and education for poor, impoverished or third world women. As I firmly believe that if we empower women we empower the world. I mean if it wasn’t for the first female Irish graduates of universities in the 1880s I wouldn’t have been able to go to uni! 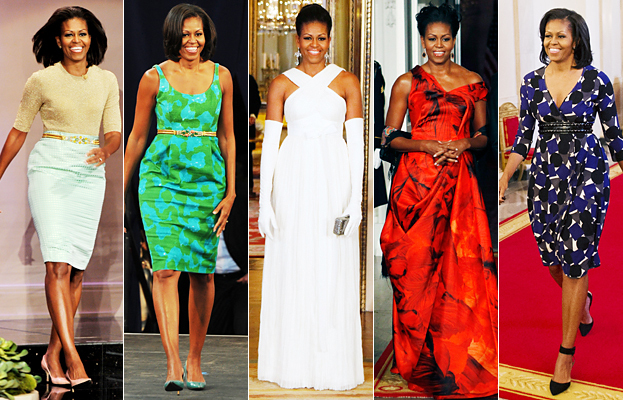 Plus Michelle Obama has some of the most amazing clothes that I’ve ever seen! Total envy but style inspiration for women across the world. Also she is super smart and a lawyer and Harvard law school graduate. Enough said. Now you might not have heard of Lucy Worsley but if your a history fan-girl (which I so am!) and you love museums/old things/historic palaces etc. chances are you’ve probably heard of her. Lucy Worlsey is Chief Curator of Historic Royal Palaces which look after places such as Hampton Court Palace, The Tower of London, Kensington Palace etc. She also presents TV documentaries for the BBC on diverse historic topics including Henry the 8th’s wives, Romanov Russia and the British people’s obsession with murder mysteries. All whilst wearing the most fabulous clothes ever. I mean look how fabulous her red dress and lipstick is whilst working in a museum and presenting historic documentaries! Who said working in a museum isn’t glamorous?! 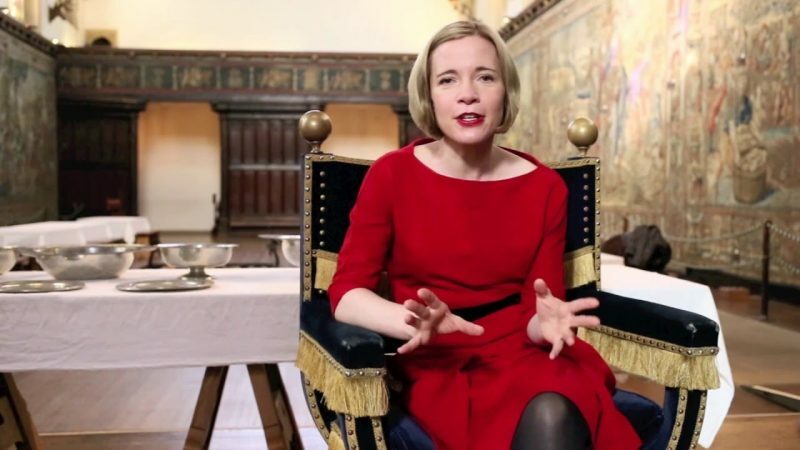 Lucy Worsley inspires me because she has worked her way up from the bottom rung of the curatorial ladder right up to the top where she is now a very important figure working in some of the world’s most amazing places. If this is not inspirational then I don’t know what is! Basically I just want to be an Irish version of Lucy Worsley; working in a museum with a fashion collection whilst blogging, YouTubing and who knows maybe even on the TV (!) promoting my love of history to a diverse audience. *History fan-girl moment*! 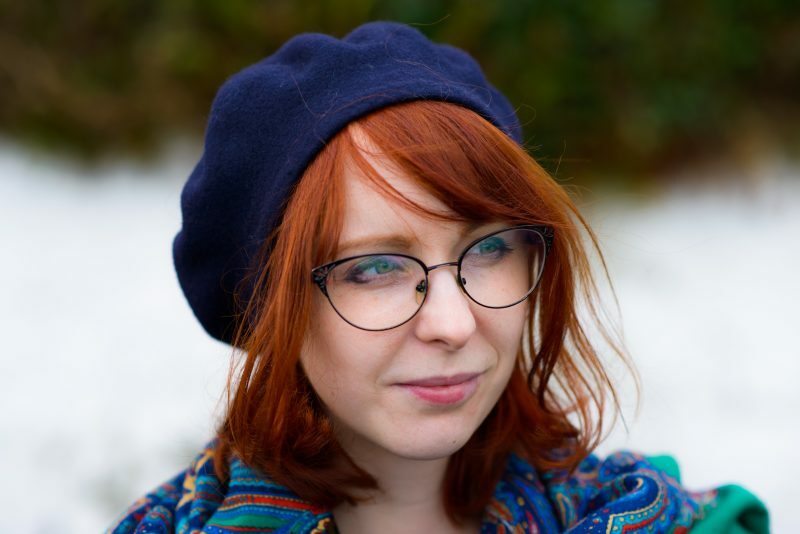 I hope you’ve enjoyed a round-up of some of the many women (trust me it’s a very long list) who inspire me on a daily basis or when I need a good kick up the arse to do work or apply for jobs. Watch my YouTube video below were I rabbit on about the women I mentioned for a good six minutes. Happy watching and Happy International Women’s Day! Pictures from Picture Post Archive, The Telegraph, YouTube, PopSugar, The National Trust and Getty Images.